Simply put, Beatlesnumber9 is a mini-Beatle-pedia from a devoted Beatles lover, David Holmes. Beatles Number 9 is one of the most informative websites on the net. It is content rich. 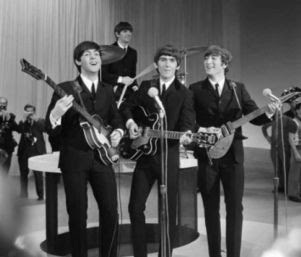 Holmes developed a blog and a website with many interesting stories about the Beatles. Looking at it, you can easily understand that the guy has worked a lot to build this website. Personally, I am not a big Beatles fan and I did not listen to any songs of the Beatles (if that makes me a geek/nerd then I guess I am) but if you just want to know about the Beatles and their songs and lives of other people who were/are affected by the Beatles, then, this is the place you should hang around. Before I get into discussing the site, I want to talk a little bit about the Beatles and David Holmes. The best thing about the site is that it is very simple and easy to browse. The homepage is not loaded with unnecessary images. This is one thing I liked about the site; simple but rich in content and easy to browse. In the introduction section, you will find a background music option. You can browse the site while enjoying the background music which is of course one of the famous songs of the Beatles. You will also find a voting option. If you love the site you can vote for it. In the body section, I like the webcam option which will enable you to see what is happening at the Abbey Road. The recording studio at the Abbey road is the place where the Beatles used to record their music. You can see what is happening on the street. Then, there is the Matthew Street webcam. The body can be divided into two columns. On the right column, you will see various news about the Beatles which you will find at the blog of David Holmes. "Eppie" Double Life... Double Fantasy?” and liked it very much. Brian may have been a bit different but he loved Beatles from his heart and it is this love that hurt him most in life. Last but not the least, you can find many downloadable items and shop online.